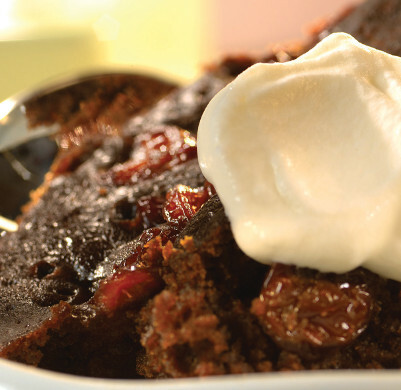 This gingerbread has the soft texture of a cake, and the addition of dried cherries and V8 Original juice adds a rich flavour which is irresistible! Coat the inside of a slow cooker with vegetable oil. In a separate bowl, mix the flour, baking powder, baking soda, cinnamon, ginger, salt and allspice. In another bowl, add the butter and brown sugar. Beat together until it is creamy in texture, then beat in the eggs and black treacle. Add the flour and the V8 Original juice and mix together gently. Stir in the cherries and then pour the batter in the cooker.